Although in western culture yoga is mainly regarded as a form of exercise, many forms of yoga are purely mental or spiritual practices. 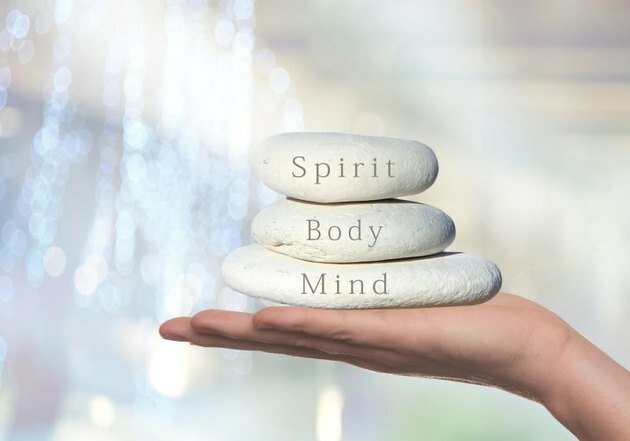 Raja Yoga encompasses both body and mind, but the emphasis is on mental and spiritual development. Its purpose, according to its progenitor, the Indian sage Patanjali, is to unite the practitioner with the higher self. Among their own ranks, practitioners of Raja Yoga regard themselves as "heroes of mind training." In Sanskrit, the word raja means "king," or one who has achieved self-mastery, while the word yoga itself means "union" or "connection." Having originated as early as 300 B.C., it was practiced by actual kings, most notably the eleventh century King Bhoja, who wrote an extensive and influential commentary on it. While vestiges of Raja Yoga survive in other yogic traditions, it is not commonly practiced in the West, and in fact strict Raja Yoga practices have become rare even in India. Like other forms of yoga, Raja Yoga is based on the eight limbs of yoga as delineated by Patanjali. 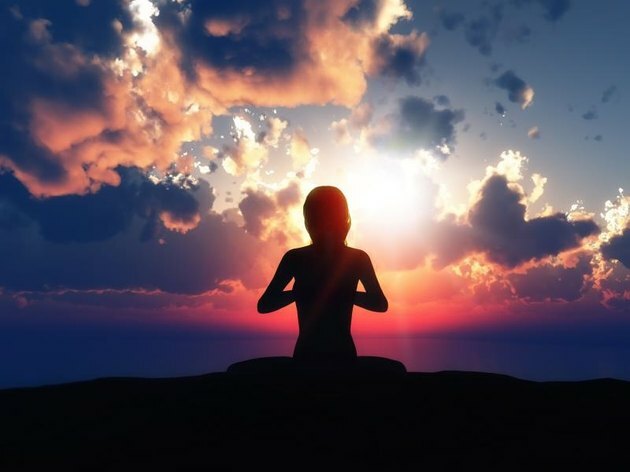 While the eight limbs form a complete path to self-mastery or samadhi, which literally means to "bring into harmony," Raja Yoga emphasizes meditation and turning toward inner illumination and eschewing external sources of gratification. Yama and Niyama, the first two limbs, are like the 10 commandments of Raja Yoga. Yama means control while Niyama means non-control -- or otherwise put, they're the do's and don'ts. Yama directs you to refrain from violence, lying, stealing, sexual misbehavior and greed. Niyama encourages cleanliness, contentment, austerity, self-examination and devotion to the Supreme Lord, which can be understood as the quest for higher consciousness. Asana mans "posture" and can be taken to mean practicing the numerous postures of Hatha yoga. But the deeper message is to teach the body stillness in order to facilitate meditation. In Raja, the postures may on rare occasion facilitate this, but they're not the end in themselves. Prana means breath. This limb reaches how to harness it in the service of controlling the body's primal energy. Pranayama is the state in which the body's energy is reversed so that instead of flowing outward toward the senses, it moves inward to the higher self. Pratyahara is about learning to concentrate and contain the body's creative energy once it has been redirected inward. Concentration brings freedom from useless distraction and propels us toward awakening. Raja Yoga's sixth limb is Dharana, which refers to contemplation or the stabilization of inner awareness. Until we achieve dharana, our inner awareness is like a flickering candle. Dhyana means absorption. By meditating continually on the various stages of consciousness, we gradually internalize its qualities so that they become a part of us. Ultimately, our mind is freed from the trap of ego, allowing it to flow into the vast ocean of universal consciousness. The final step -- or should we say "stop" -- on this journey is Samadhi, loosely translated as "oneness." This is achieved when we learn to dissolve our ego into the calm light of inner awareness. According to Swami Kriyananda, spiritual adviser and author of more than 150 books on yoga teachings and philosophy, people will ultimately discover that they are themselves light and then there will be nothing to prevent their consciousness from expanding into the ultimate. Yoga Journal: What Does Ashtanga Mean?